Five lodges, four locations, one amazing country. Iceland's seasons shift drastically creating experiences depending on the season. The perfect lodges to come home to after your daily adventures. 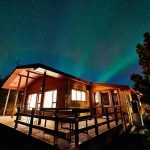 View the northern lights from your lodges deck or hot tub! 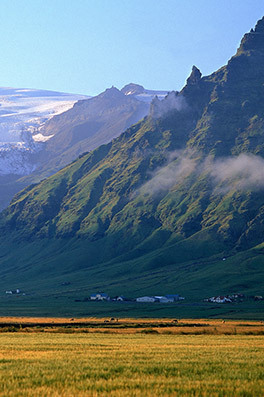 Looking to experience the beauty of Iceland but also be close to the city? Brekka is the perfect place! Stunning views all around and only 45 mins from Reykjavik! Situated next to Langholt Lodge. 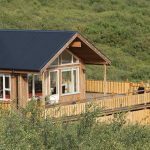 This beautiful modern lodge is located hillside overlooking the Atlantic Ocean and surrounding Sulur mountain ranges, plus only 45 minutes from Reykjavik! Situated next to Brekka Lodge. Escape the city and adventure to the serene Westfjords of Iceland. 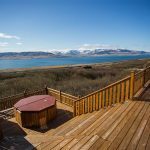 Tvera is surrounded by breathtaking mountains, the ocean, and a nearbye unique geothermal pool at the shore! 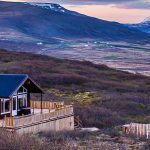 Venture to the attractive area of Akureyri, the capital of the north, and stay in the secluded Hamragil lodge. Northern Iceland is the best place to see the Northern Lights in winter! Located in the center of the most famous sights of Southern Iceland; Geysir, Gullfoss and Thingvellir. Snow scooting, river rafting, horse riding and spas are some of the nearby activities. Iceland is bigger than you think! Thanks to our Roof ’n route system you can hop from one Nordic Lodge to another, giving you the opportunity to see more of Iceland! 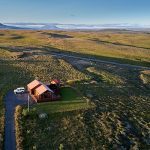 Many of Iceland’s most famous natural attractions are located on the „Golden Circle“ in the immediate vicinity of Holiday home Holt. 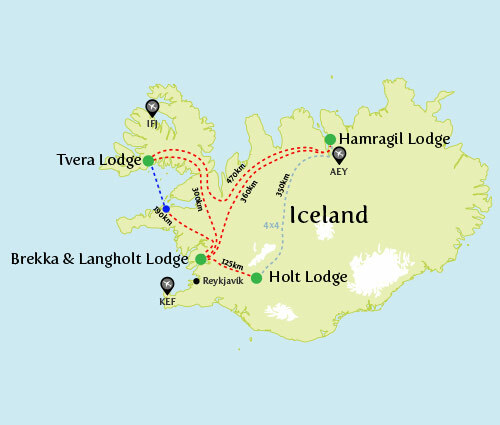 Geysir, Gullfoss and Thingvellir are easily accessible by car from Holiday Home Holt. 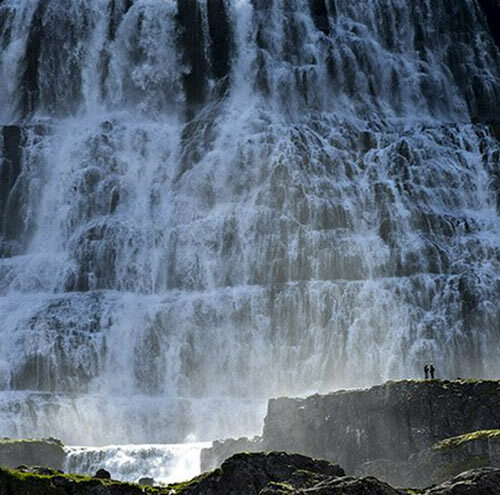 On Iceland’s south coast you will find black sandy beaches and waterfalls such as Seljalandsfoss and Skogafoss. Fertile valleys, unusual natural beauties and the best opportunities to see the northern lights in the winter months. 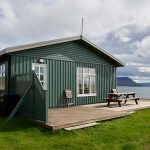 Our holiday home Hamragil in the north of Iceland is located in the immediate vicinity of Akureyri, the capital of the north. Hamragil is the perfect starting point to visit the Godafoss waterfall, just 15 minutes drive from the holiday home. 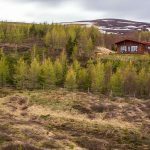 "Tvera is an excellent lodge and the neighbours trout idem. .... Roof 'n route is an excellent option for comfortable discovery of this huge country. 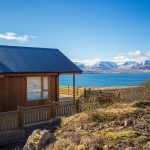 I'm sure this will be a very succesfull Nordic Lodges rental option, perfectly adapted to Iceland. 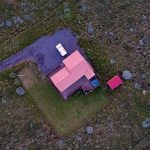 Every area (and Lodge) is amazing in a different way... "
"What for an incredible House! Thank you for sharing your home with us! We had a delightful time. We had everything we needed -and more! This place (Brekka) is truly special😊." "Many thanks for your hospitality! We had a wonderful time at your Nordic Lodge and hope to be back some day. ...."
"Thank you so much for the use of your beautiful home. 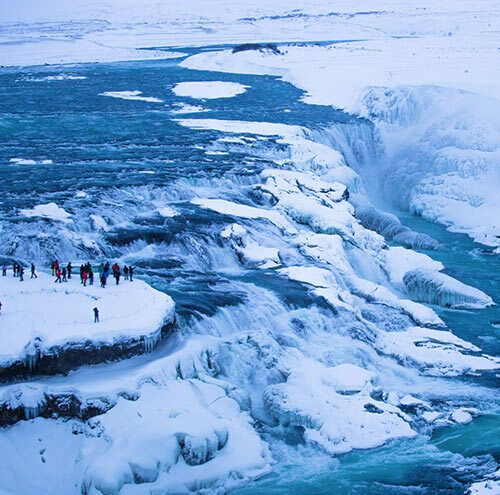 We all agree that Iceland is a beautiful country and we have fitted so much in, Blue Lagoon, Glacier, Golden Circle, Shopping, and enjoying Brekka. We're very sad to leave 😢, hopefully be back soon." "We .... just wanted to say how much we enjoyed our time at Langholt lodge. It was definitely the best accommodation we had on our whole holiday, we even managed to see the Northern lights while relaxing in the hot tub one night, very special! We hope to be able to return again one day soon. Thank you for providing such special accommodation ☺." "..... We enjoyed Brekka more than we could have imagined. Everything inside is well thought out and the views are spectacular. ...."
"Thank you so much for a fantastic stay. Hamragil is perfect -stunning views. Iceland is amazing. .... "
"Just a quick note to thank you for our week’s stay at the Holt. We had a wonderful time and really enjoyed the lodge and your beautiful country." 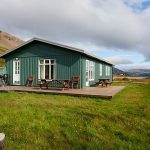 "I'm already telling friends and family of how lovely the place is (Langholt) and they have to stay there if they ever visit Iceland, it sure made our stay special. I hope that I'll be back someday." "Don't think twice, this place was by far the best part of our entire trip. It's AMAZING!!!! The hot tub is key and we spent every night in there. We cooked dinner on the patio with the grill. I can't say enough about this spot...."
"We had a perfect time in Hamragil! The lodge was so nice, so complete!" "Merci pour avoir partapé votre merveilleuse maison HOLT. Nous avons été ravis de notre séjour. Nous reviendrons, merci beaucoup." Iceland is a seasonal destination. Daylight ranges from a mere 4 hours in the winter, to 24 hours in the summer. No matter what season you come to Iceland you’re guaranteed a spectacular experience. Whether it be gazing at the northern lights and snow covered hills, or enjoying the wildlife and pristine green landscapes you’re guaranteed to be amazed. At Nordic Lodges we always recommend coming to Iceland at least twice to experience how vastly different the landscapes are in each season. 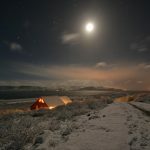 Why discover Iceland with Nordic Lodges? Do not commit yourself to just one part of Iceland. Rent various holiday homes with the Roof n´Route solution. Enjoy relaxation in complete privacy. Our holiday homes are secluded in beautiful countryside. Experience the real Iceland. 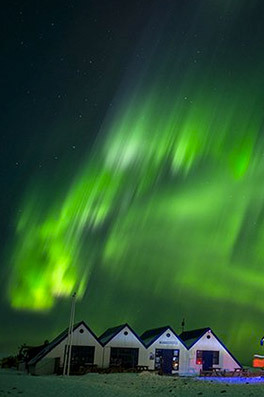 Wake up in the morning to admire the sunrise or step outside your holiday home at night under the northern lights. Save money with our fully equipped kitchens. Buy your food and drinks in the nearest supermarket and cook in the holiday home. We charge the rental price per night for the holiday home for up to 6 persons and not per individual. Only with more than 6 persons there is a surcharge on the rent. In our holiday homes there is a minimum stay of only three days. This means that you can rent any holiday home for a short visit or a longer stay.